Dissension in the ranks was not an uncommon thing for Cole. From the teachers he’d resented as a youth, the ones that couldn’t “do,” so they taught, to the glad-handing colleagues he’d hated outright as a young executive, champion do-gooders with poorly-cloaked ulterior motives, there had never been much time in Cole’s life for things that were less than honest. He wouldn’t play their games. He wouldn’t blindly kowtow to authority, or go along to get along. And, as a result, he couldn’t settle. He wouldn’t settle. The bald-faced sorrel he’d picked up at the sale barn in the spring, now three horses back in a heavy four-horse string, shared his owner’s disdain for all things unfair. He’d looked the part, sure enough, coming through the sliding arena doors with a skinny Idaho flat-hatter on his back. The gelding went through his paces with indifference- up and down the fence, backward, sideways. Something about the horse’s eye caught Cole- there was more in there. More than a big buckle and a big moustache cared to let on while moms and dads sat in the first row of seats, looking for their kid’s first show pony, and much more than the meat buyer was offering back in the barn alley. The auctioneer had warmed up his microphone with a few ridiculous prices- two thousand, who would give him two? Now fifteen…lots of horse there…help yourself. 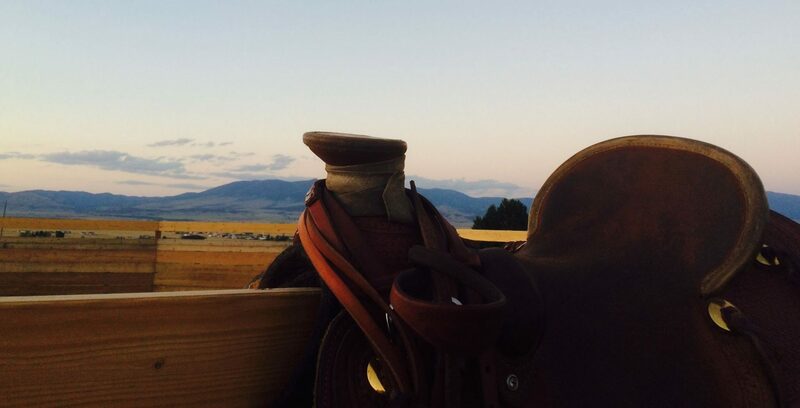 The price came down rapidly and, with each new try, the cowboy in the saddle kept smiling. Professional traders like him didn’t worry themselves silly over one bad auction. If the price came down to less than the per-pound average, he’d just no-sale the nag and put him on a truck bound for the border. Just when it looked like that would be the way of it, the gelding humped up and neatly deposited the buckaroo on the arena’s sawdust-covered floor, sealing the deal Two hundred… one fifty… anybody? No sale. Cole bought the sorrel for fifty dollars and a case of beer from the meat buyer in the alley an hour later, and had ridden two full sets of shoes off him that summer in the backcountry. He turned out to be a real go-getter, but didn’t play well with others. A horse after Cole’s own heart. Now, in early October, the zeal that had endeared “Crank” to his new owner was causing problems. The trip had been a good one, with both Cole and his father connecting on cow elk during the backcountry rifle hunt. That was why Cole had horses, why he put up with them- to get back where fat guys on four-wheelers and lazy guys with bigger guns than hearts either couldn’t or wouldn’t go. Cole’s dad didn’t ride unless necessary, preferring to deal with hunting boot blisters as he walked on ahead over saddle soreness. It was a good excuse- Rheumatism- and Cole couldn’t fault the man, but it did leave him with his own hands full on a narrow trail. Snow from the night before wasn’t helping matters any, either, as every rock and tree branch on the trail became dangerously slippery. When the string began to pick its way across a broad talus slide, following a faint half-path that elk, surely, made look nonexistent as they crossed without breaking stride, Crank could take no more. The sudden lack of trees on either side, combined with a slight curve in the trail, gave the sorrel a good view of something other than the back end of Jake, the stout draft-cross he was tethered to. When Crank saw open country ahead, he decided to go, come hell or high water. 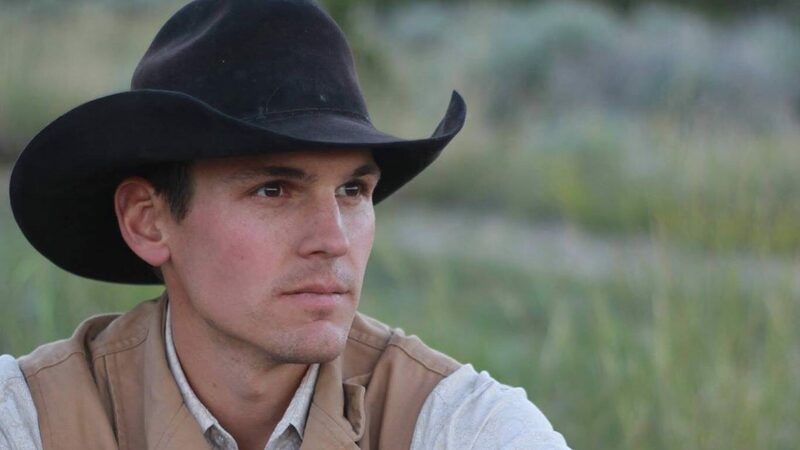 The eerie, hollow sound of rocks tumbling down the slope below drew Cole’s attention instantly, and he turned in his saddle just in time to see Crank rolling in a convoluted half-moon, his head and neck still nearly on the trail, his hindquarters lunging in what seemed to be every direction. Instinctively, Cole turned loose of his lead rope and dismounted. Rosie, the squat roan mare who always rode shotgun while packing game, unconcernedly began searching the misshapen rock crevices around her front hooves for something to nibble on. Cole carefully picked his way around Rosie and got to Jake’s head, which was pointed slightly uphill. The big grey gelding looked to be leaning, and it was then that Cole realized what was occurring. Below, ten feet off the trail, Crank was upside down and trashing the elk quarters in the panniers on his back. Luckily, all of their camping supplies were still in the woods, and would require a second trip. The horse was still tailed up to Jake by a length of stout twine, and it was requiring all of the big mount’s strength to keep from being pulled over the trail’s edge and down into the mess of leg-breaking holes. In a moment, Crank calmed somewhat and refrained from thrashing about. His muzzle was twisted upward at an odd angle, and his eyes looked to be rolled back in his head partway. Cole reasoned that the choice, at this point, was one of multiples: go down and try to right Crank, and potentially lose two decent horses to the talus when Jake gave up his hold, or cut Crank loose and ease the formidable grey’s already-quivering muscles. Resigned to the fact that this situation was almost assuredly going to cost him at least one horse, Cole unsheathed his hunting knife and, with a forlorn look at his soon-to-be-dead horse below, severed the tailing twine. Crank slid down the slope for what seemed like an eternity, still upside down and backwards, until the rings of his Decker saddle hooked a deadfall lying among the rocks. In one fluid motion, the sorrel flipped and turned sideways, landing on his belly with his legs tucked underneath him as if he’d simply laid down for a nap. Calmly he stretched his forelegs and found purchase among the rocks, and he stood up. There were a few easily-identifiable cuts on the horse’s rump and shoulder, but he appeared to be little worse for wear than he was as they left camp that morning. A short minute passed with neither man nor beast moving. Cole and Jake leaned on each other, both breathing heavily, and below, Crank seemed to be admiring his path of travel and looking for a way back up. With his wits back about him somewhat, Cole went about the business of untying the remaining horses’ lead ropes. He didn’t want to deal with having to find a way back up onto the trail for yet another member of his pack string. Just as he was about to lead his saddle horse across the remaining talus and into the trees beyond, Cole spotted something up the trail. It was his dad, coming back to see what was taking so long. With a loud shout from the edge of the uneven rock slide, the older man asked if everything was okay. Crank saw Cole’s dad as well, and let out a shrill whinny that bounced off the jagged rocks and echoed through the trees. Both men watched as the sorrel lit out across the basketball-sized stones, steel shoes clattering and sparking as he lunged upward and over, upward and over. The horse seemed fixed on the trail above and paid no mind to the dislodged rocks thundering toward oblivion below. In less time than it took him to fall, he was back up on the path. And, what’s more, he was in the lead. Cole’s heart had skipped a beat when he’d seen the horse fall, and it had swelled with pride when he saw him regain the trail. As he checked the sorrel for damage from back to front, he was pleased. Yes, scrapes, cuts. And surely some stiffness would come soon. But when Cole checked the horse’s head, he saw the same prideful look in his eye that he’d seen that day at the sale barn. He was glad to have Crank back in one piece-This horse was worth, at least, two cases of beer.